Your Town Council consists of a Mayor, Deputy Mayor, and five Town Councillors, each elected for a four-year term. Antigonish voters elect the Mayor and Councillors, while the Deputy Mayor is selected and appointed through a Council motion. Councillors do not represent a specific district or ward, but rather each serves the Town as a whole. The Town of Antigonish uses the Mayor System. The Mayor presides over Council, and serves as the spokesperson for the Town. Additionally, the Mayor is responsible for monitoring the administration of government and to make recommendations to Council respecting the same. 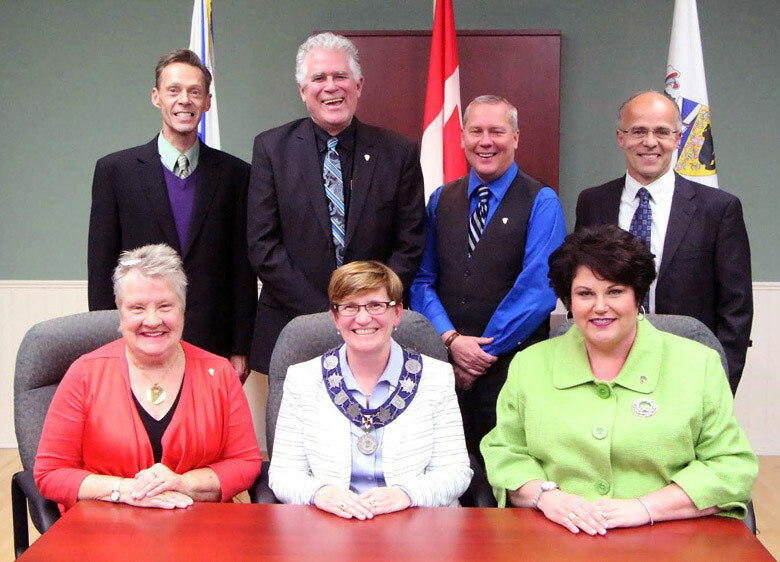 Along with providing leadership within the Town of Antigonish, the Mayor is involved in inter-governmental relations with the provincial and federal governments. Your Council is responsible for representing the public and advancing Town of Antigonish's economic, social, and cultural well-being. In accordance with the Municipal Government Act, Council performs various important functions which include: representing the public interest and upholding the well-being of the Town, setting the short term and long term direction for the Town, formulating and passing municipal by-laws and policies, approving the Town’s budget, and setting tax rates. Council is supported by Advisory Committees, which provide advice and recommendations on particular issues, programs, and services. Please visit our Committees and Boards page for more information. Meetings of Council are held the third Monday of every month. Next Council Meeting: Monday, May 27, 2019 at 6 p.m.
For a full schedule of Council and Committee meetings, please visit our Committee Calendar.